Firing tools supplied Hoe, Poker and rakeMaterial of construction Case – 5mm mild steel. Bracing – Heavy angle and channel. Hearth – 1550⁰C castable general purpose high strength, high abrasion resistant monolithic refractory concrete. Ashing door – High grade cast iron. Loading door – 5mm mild steel lined with 1550⁰C castable general purpose high strength, high abrasion resistant monolithic refractory concrete. Control panel – Circuit breakers, main switch, timer, pilot lights, 2 set point pyrometer and one set point pyrometer. Electricity supply required 415 Volts Three phase. Design, installation and commissioning of multi industrial waste incinerator. The following types of wastes can be treated by using incinerator. m). wastes after treatment of chemicals in etp plant. p). agricultural liquid chemical waste. t). bulk dry chemical waste. Incinerate all types of liquid/solid hazardous/chemical/non hazardous wastes avaliable in the industries with proper scrubbing system with standard emission rates. Producing ash and Gaseous fumes which are treated with cyclone type wet scrubber and caustic scrubber to produce air with pollutants in the permitted range and Non hazardous ash mainly inorganic salts. Advanced gas treatment system to avoid emission of toxic gases (scrubbing system). Low consumption high efficiency compact automatic burning system. 50kg/hour at a nominal calorific value of 4,000 kcal/kg and an average bulk density of 120kg/MCubed for general waste and 160kg/MCubed for health care waste. 1000-1500 Kg. The durable, self-contained incinerators shall offer an effective and highly efficient, safe disposal and to be manufactured according to applicable international directives, e.g. CE, EU, etc. An incinerator represents a complete solution to the problem of disposal of all hospital waste types. The liquid fuel is diesel. The incinerator should meet the environment standards. The final destination of this equipment is Remera-Mbogo Special Health Center in RULINDO District; bidders are requested to respond to the following requested technical specifications with comprehensive description of equipment being offered. The tenderer is also requested to bid on both equipment and shelter, and he/she will be responsible of both. All pre-installation works have to be done by the tenderer, better to conduct a sit visit before bidding. The bidder has also to provide original catalogue not a copy. The incinerator shall be fully self contained. The incinerator plant shall incorporate a control panel for its operation. On the control panel we shall have a visual display of the chamber temperatures. This visual display must control and monitor the incinerator and his performance. “PYROLYTIC” combustion, by controlling the gasification of waste. The incinerator must avoid the release of black smoke and fine dust, during the loadings. 1.0 The primary ignition burner shall providing ignition of the waste to 850 °C and must switch off to conserve fuel. The primary combustion chamber shall be constructed from heavy steel plate and the unit is internally lined with a complete layer of hote face refractory and high efficiency insulation. The Dimension of the door for loading in cm at least: 70×70. The control panel shall have all appropriate audible and visual alarms to ensure safe operation. o A burner of lighting which the use is limited to the ignition of waste. o Frontage of loading with door seals gone up on hinges, wheel of screw plug, flexible joint, and stuffing insulating out of refractory. o The insulation of the combustion chamber should be composed of refractory bricks, having a high content of aluminium and insulates bricks in order to assure a minimum temperature on the outside sheet metal.  Burner of lighting of waste, with fuel, standard mono-bloc casting guiding plunging flame, lighting and safety of electronic ignition, permanent ventilation, electromagnetic sluice gate of regulation and isolating valve. o A sheath of evacuation of the gases burnt. o Carcass in strong sheet steel with support of connection. o Burner with fuel, mono-bloc casting guiding type with horizontal flame, lighting and safety of electronic ignition, permanent ventilation, electromagnetic sluice gate of regulation and isolating valve. o A secondary injection of air to ensure perfect oxygen content. A control box ensuring the complete cycle of combustion. o Electro-ventilator distributing the secondary air, the regulation of the air flow being carried out by valves and following the control of the automatic cycle. A switch circuit breaker for each engine (ventilators and burners). A timer with adjustable temporization for the regulation of each burner. A regulator with digital watching for the temperature of combustion. A regulator with digital watching for the temperature of post combustion. Bidder must give batches of spare parts of first urgency and consumable of the incinerator. The installed incinerator must bear a one year guarantee. The supplier shall perform an onsite installation of the incinerator. List of important spare parts and accessories with their part number and costing to be given. 2.36 To provide a signed copy of reference list and address of the health facilities where the proposed equipment is currently installed (list of installation site). The present Technical Specifications Terms is aimed at defining the quality, the nature, the technical specifications, norms and standards necessary to the completion of project hereby presented. Generally these technical specifications on the origin, quality and preparation of materials, construction norms and ways of execution of different parts of the project in accordance with standards. As per definition, Technical Specifications are specific to each category of works; hence it is convenient to refer to standards norms developed in the Country. The Contractor has strictly to respect standards. He is also obliged to respect terms and conditions of tender general terms in application in Republic of Rwanda. Each work having defects will be rejected and the contractor will be held responsible of consequences of such action. All purchased materials will be received by the control team before use. The prime contractor has to present the source of materials, technical specifications of the supplier with the approval of the Engineer before using them in order to honor the execution period agreed upon. The ordered materials from the factories are approved by the control team. The prime contractor will have to submit the list of the suppliers for official approval within 15 days after receiving the order. This list will have to be attached to the laboratory test results and other justifications likely to prove that each supply has the required quality specified in the present text of technical specifications and other contractual documents or others proposed while tendering. This procedure is not in any way the responsibility of the Prime Contractor. The Prime Contractor shall notify to the control team the different supplies of materials and will supervise the control tests. In case building materials used are not in conformity with those specified within the contract, the prime contractor shall in no way claim irresponsibility of the control team not to have ordered for the tests. The prime contractor shall on daily basis avail to the control team the written record of supplied materials. The materials intended for the finishing, as well as sands and gravels will be from the quarries approved by the Control team. The materials intended for the construction of the drainage systems will have to satisfy the conditions of the TSB. The prime contractor is the only person to assess the quality of execution. All works should be in conformity with regulations and be carried out according to the professional rules. The prime contractor can carry out regular controls. In that case the entrepreneur will have to provide all the necessary means. The document for the use of materials will contain all the information required by the control team, particularly quality tests, the site, surface area, and execution methods. The approval of the control team only is not subject to the responsibility of the prime contractor in relation to the quality of materials provided and its conformity on the site. The reception of materials will take place on the site after the supply and before use. This will guarantee its conformity. Concerning excavated materials, the control team will at any time cancel the approval of borrowed materials or the quarry if found it does not provide materials that are in conformity with the required specifications and the prime contractor will hence be obliged to provide a better alternative. The sources of all materials must be submitted to the control team within a period of 30 days that follows the notification of signing the contract. The prime contractor will recommend the ratio of the concretes at least 30 days before starting the works. The control team will have 15 days to supervise the works. The prime contractor must avail in time the agreed concrete in order to satisfy the required specifications. All materials found not in conformity with required specifications at the time of verification must be transported outside the site by the prime contractor and at his own cost in a period fixed by the control team. The materials and source (rivers, quarries, and factories) must be approved by the control team before use. The Prime contractor will preferably use locally produced materials as well as the utilization is compatible with the agreed terms. Aggregates for plain concrete other than sand will be indicated by their specific dimensions d and D (d: minimal, D: maximal). Final particle sizes will be defined within the concrete tests. In any case the weight of materials retained on the sieve of diameter D will not exceed 10% of the weight subjected to the sifting. In the same way, 10% more of the total weight will be able to pass through the sieve of diameter d. Again the weight retained on the sieve of the diameter (D+d)/2 will be 1/3 and 2/3 of the total weight. The gravels will be thoroughly clean. Cleanness will be such that less than 2% of the aggregates will be constituted by hard stones. The aggregates to be used are broken up in particles of gauge 0/25 mm presenting a Los Angeles coefficient lower or equal to thirty five (35). The materials will be in any case subjected to the approval of the prime contractor. They will be free of mud and the organic matter. In the laboratory tests, the resistance that has to be found after 7 and 28 days must at least be equal to that indicated in the above table. B0: concrete for prime coat under the stone foundation. B4: concrete for lintels and beams of span bigger than 2 m.
Cement ratios above are given only as an indication. They will be defined according to the nature and of the particle sizes of the aggregates. They indicate minimum ratios. The entrepreneur will have to issue to the prime contractor recommendations on the compositions of the B0 and B1concretes, and to abide by the approval of water volume to be added per m 3 during the agreed duration in execution of works. The weight of the aggregates retained on the sieve corresponding to their threshold of higher granularity and that passing the lower threshold will one by one be lower than 10% of the initial weight that is subjected to the sifting. For control purpose there will be a measurement of proportion in weight of the aggregates passing during washing in the sieve No.34 (2 mm) if necessary including the measurement of plasticity of the elements lower than two (2) mm, per fifty (50) m 3 of aggregates. The aggregates of different categories will be stored in separate batches in manner of not being able to mix. The storage area will be secured in a special way and precautions shall be taken to avoid segregation in during storage or recovery and to prevent an accumulation of mud at the bottom. It is included in the cost of execution of works. No extra funds are planned for it. Cement to be used is from Mashyuza factory or any other imported cement that has better qualities than Mashyuza’s. It is of Portland type without secondary component of class 250/325 (at the choice of entrepreneur). The cement delivery will be done in whole bags or metallic containers. Cement will be stored in waterproof silos or stores. Cement that the entrepreneur intends to use will be subjected to the approval of the prime contractor. Cements will be transported into reinforced and impermeable paper bags of 50 kg. During transport and in transit, the cement bags will be continuously protected from any contact with water and moisture. No cement bag will have to be deposited directly on the ground and in the open air, except for the short period during the loading and unloading and must be under favorable atmospheric conditions. The supply and the transport of cements are both included in the cost of the works. The control team has the right to reject the type of cement proposed if at all it does not satisfy the required quality prescribed in the present specifications. Any bag whose cover will be damaged or be wet shall be rejected. Any cement degraded by moisture will be rejected as those containing lumps. The use of reconditioned cements is strictly prohibited. Whenever a cement bag or stock is rejected, it must be removed from the site as a responsibility of the prime contractor. In case of negligence or refusal, the removal is made by contracting authority at the charges, risks and loss on the part of the prime contractor. The mixing water will be provided by entrepreneur: it must satisfy physical and chemical qualities that are set by NFP 18 303 standards. At the same time, mixing water should not contain more than two (2) grams per liter of suspended matter, or more than two (2) grams per liter of dissolved salts. It will particularly be free from sulphates and organic chlorides matter. The source of water will be identified by the entrepreneur and approved by the representative of the prime contractor. For each mixing, sand for the mortars will be measured with gauge box while cement will be measured on the balance (weight). The aggregates will be in conformity with the DIN1045 standard or equivalent. The handling of the mortars components will be done on prepared masonry areas, the mixing will progressively be carried out in the course of the execution of the walks. The best qualified sand having the norms and standard is KAYUMBU sand. In order to avoid the segregation, it is prohibited to drop the concrete into a formwork from a height higher than one meter (1m). The B2 and B4 concretes will have to be vibrated using poker vibrators. The vibration time should be controlled in order to avoid any segregation or rise of fine particles on the surface. They should not touch the formwork or the reinforcements. After placing the concrete, the surfaces of the works must be protected by door mats, plaits or fabrics streaming day and night by repeated curing as many times as necessary. The curing of other mortars and concrete should be made by moistening or an impervious temporary coating. The concretes and mortars after curing should necessarily be approved by the prime contractor. Any delivery of concretes and mortars after curing will be followed by the submission of an original certificate indicating the time after which the products have to be rejected. The curing is applied to defined surfaces and their recovery. In case coating is used for curing of recovery surfaces, repair and cleaning of these surfaces is necessary before installation of the concrete. Reject of concrete or mortar is not acceptable. The entrepreneur must recover any surplus and deposit it at a place approved by the prime contractor. The materials deposited should be covered with a soil layer. The mixing water shall be provided by the entrepreneur: it must satisfy physical and chemical requirements set by NFP 18 303 standards. In addition, the mixing water should not contain more than two (2) grams per liter of suspended matter, or more than two (2) grams per liter of dissolved salts. It will particularly be free from sulphates, chlorides of organic matter. The concrete curing will be done by moistening. The concrete will be maintained wet for ten days after the placement. The means to be used will be either of the fabrics, plaits or doormats maintained wet constantly, or a slight and permanent watering of surfaces. The intermittent watering of surfaces is prohibited. The impermeable formwork will be maintained wet in the same way. It is prohibited to loads concrete, particularly walking on it and to introduce other installations before the prime contractor approves sufficient resistance of the concrete. The approval of prime contractor on the concrete resistance does not hinder the responsibility of the entrepreneur. The entrepreneur shall be responsible for any degradation of concrete, either caused by excessive load or any installation before the concrete attains its resistance. The use of additives for preparation of mortars and concrete will be liable to prior agreement of the prime contractor. To support this request in intending to use additives, the entrepreneur should attach results of laboratory tests that are conducted in a laboratory approved by the prime contractor. – Granites and granitoid and, in general containing quartz and granite. Certain masonries in walling should be provided with a mortar plaster 20 mm thick. The plaster of masonries will be done in two layers; the last should be straightened according to the rules, and smooth enough. The coatings will have perfect adhesion, and will not sound hollow with the shock of the hammer. All paintings, vanish, sealers etc. are provided on site in the original packages under seal. The materials are stored in the premise ventilated safe from rain and sun in order to avoid all deterioration of the materials. The contractor will take all precautions that impose themselves to avoid all accident. The use of paints with the solvents alcohol and the benzene is forbidden. Before the provisional reception, the contractor should completely clean the buildings and the land. • Removal of all rests of materials, debris, waste, etc. in the buildings and in the plot. • Perfect cleaning of all rooms and roofs, cleaning of finished floor, walls, doors and windows if necessary. • The interior and outside cleaning of glazing.
. The masonry shall be executed by cement mortar of 300 Kg cement by m3 of sand. • The apparent masonry in elevation and the masonry to be jointed; shall be neatly executed in bricks without any defects. • Any masonry finishing a slope (for example a gable under the roofing) shall be finished with ordinary concrete according to the existing slope. This concrete is included in the quantities of masonry and shall be measured in the unit price of the concerned masonry. • The masonry of the foundation is executed in hard and strong quarry stones, gravel with cement mortar of 300 kg and with well graded sand. The masonry of foundation is completed at the level of the damp proof of a plane surface made up of a layer of smoothened cement mortar of 10 cm thick against the capillary water. In the case of sloping terrain, the foundation is executed “in steps». In either case foundation must be grounded the good quality soil after a control of the supervision bureau. Aggregates for mortars and concretes. Sand for mortar and concretes. The sand for mortar and concrete will be the river sand or crushed stone. The sand will be free of tender matters like micas and e organic matters like humus; the peat; or the vegetal soil. The quantity of fine particles like silts, clays, and soluble matters soluble should be eliminated by decanting, and should not exceed 2%. the fineness module will be included between 1.70 and 3.40. The maximum proportion of elements which remain on the sieve of 38 modular (or sieve of 5mm diameter opening) should be lower to 10%. The Gravel for concrete will be from river or crashed stones. The maximum proportion in weight of concrete aggregates, crossing sifter opening of module 34,( or the diameter of sifter opening is 2mm) should be lower to 2%. The aggregate diameter should be included between 3 and 25mm for the concrete and between 3 and 50mm for the reinforced concrete. Besides, the crossing and remaining aggregate on the extreme sifters will be lower to 10%. The contra will avoid the flat, brittle, crumbly, , soluble or in general evolutionary aggregates. The Los Angeles coefficient should be lower to 40. Laboratory tests to be conducted. a) Sand for mortars and concretes. 1 moisture content control for each 50 m3 of sand. b) Gravel for the concrete. 1 Los Angeles control by quarry. The water to be used should fulfill the all prescriptions recommended by the cement producer. It should not contain more than 2 grams of dissolved or abeyance matters by a liter. The doubtful waters will be submitted to chemical analysis.. The use of river or swamp water should be approved by the client or his representative. The use of additives like hardening accelerators, air Hoover, plasticizers, waterproofing products, etc.. Should be approved by the client or his representative. The additives use should be conducted as indicated in their certificate derived by the producer. The additives should not be mixed to the cement before the client approval. The mixing of additives and cement should be homogeneous. The cement shall be of Portland cement quality manufactured by MASHYUZA cement factory or any other equivalent designation and it shall be submitted to the design bureau for approval However, cement other than the latter, shall have to satisfy at least to the ISO standards in AFROR, NBN and DIN correspondents. The cement shall be well stocked in aerated room and free from the humidity. The bags shall be put on a super elevated floor. The cement bags should be in good state, including the marks of origin. Accepted shall be only bags coming from the registered factories. Sampling for testing shall possibly be made on the stocks. At the time of cement bags unloading, the date of delivery will clearly be written on every bag, with an indelible ink. The cement bags with the storing duration more than one month should not be used for concrete and plastering works. The maximum duration of cement bags storing should not exceed two months. The client or his representative will collect (if necessary) cement samples for laboratory testing. • Compressive resistance after 7 and 28 days. The first results of testing should be communicated to the contractor within 72 hours after samples collection. All non-satisfactory results to the present notebook entail new samples collection. If one of the supplementary tests gives non favorable results, the corresponding material will be rebuffed. The frames are executed in tubular sections made of steel with the measurements appeared at the descriptive details. All extremities of tubes are closed in the same way by soldering a plate dimension that the section and in the same way thickness that the partitions of the tubes. The frameworks are provided at their anchorage accessories that is to say symmetrical valley section in the same way of the applied tubes; these valleys are welded on the entry of every point of support. The minimum thickness of the metallic pieces is 2mm.All structural elements are painted before their application in a layer of painting to the chromate of zinc. The painting of brilliant glycerophtallic of finish is redacted on the remaining part of structures which are included in the price of the structures. The colors are either determined or chosen by the client. The rafters and purlins are fixed in the same way on the frameworks by means of the valleys sections that the breakdowns’ (60*40*2).The contractor will suggest a system of fixing with plan of details to make approve by Client. The trusses, rafters and purlins are painted with a rustproof layer before their use and a final coat after their fixing. The trusses or trust of trusses that would be damaged during the transportation can be replaced. Some deformed members will be refused and will be repaired or replaced. To m2 of roofing surface, including fixing accessories, ridges, strands, intermediates gutters, etc. following the indications on the plans and all vassalages. The water from roof harvested by the metallic gutters will be conveyed through down flow pipes in PVC to water reservoirs, and the rest to ground gutters and end up in soak pit. Sheets of metal are of good quality. The sheet metal used for the mantelpieces,frames,bent sections and panels of replenishment have a thickness of 2mm.Except otherwise stated by stipulations in technical specifications or in the bills, the sheet metal are raw and non-galvanized. The section used for the manufacture of frames is the double hunger type. Shutters them are realized in T iron assuring a double strike in order to guarantee the tightness. All shutters and joineries are executed according to construction rules. The contractor must provide the sample to be approved by the client. To foresee the water color on interior walls and oil painting on outside walls and in the humid areas. The works of painting can be done in factory or at the construction site; they also can be done partially in the factory and partially at the construction site. All paintings, varnish, etc are derived at the construction site in the sealed original packing. The materials are stored in the ventilated area which is protected against the rain and sun radiation, to avoid any deterioration of the materials and their packings. The contractor will take all necessary precautions that to avoid all accidents (fire, explosion). In the case of the interior painting, an efficient operation must be assured to permit evacuation of the solvent steam. Holes obturation, cracks, small nests of gravels, etc..
Painting, using the roller in the same way. In this case the paint is diluted to 5%. All windows must be compliant to l`ISO or to the BS NO 952, without bulbs or other particles. The glasses are flat shared into NACOS. Glasses thickness is from 2, 8 to 3,2mm, weight of 6, 25 Kg/m2. The glasses will be exempt of bulbs, of lentils, of gall, of ropes, of burns, of stings, of glimmering or other shortcomings,. The putty is manually fixed and should be bolted to existing frame. The valves and fittings will be subjected to the prior of the engineer. The taps3/4 chrome. Appliances carried out of white porcelain fixed at the wall and laying on column in accordance with the parts to fix.PVC siphons in antiphonic action and PVC 63mm. The monobloc WC TWYFORD type: carried out of vitrified white porcelain fixed with screws and provided with square taps. Polyvinyl chloride pipes will be of minimum type PN10.They assembly will be obligatory carried out by means of the nontoxic products and accessories suitable such as the T-pieces,elbows,sleeves,valves and fitting etc….All the down pipes for the evacuations will be carried out of PVC ,they are hard and will be ringed. The urinal will be also of a type TWYFORD with white basin, complete with push button of Sloan type with chromium siphon plated with 75mm valve .The flash valve will have an integral closing; the mural plate will be supplemented with pipe connectors and will have mural suspension. The door roller will be of dia.150 x150 mm, carried out of porcelain or equivalent approved by the client. It will be embedded in the wall. The single wash hand basin will be of vanity type, or similar approval assembled on a table wash hand basin of dimension of 585 complete x 450mm with chromium plate, tap provided with push rod with delayed action. Manholes shall be constructed in stone or concrete blocks in the positions and to the depths shown on the Drawings or as directed by the Engineer. Cast iron manhole covers and frames shall be provided to all manholes, and shall be manufactured in accordance with B.S.497 and approved by the Engineer, size 60.0 x 45.0cm single seal, minimum 23.42 kg weight, as shown on the drawings or as directed by the Engineer. Where wheeled traffic is liable to pass over the manholes, the Contractor shall provide medium or heavy-duty covers and frames as directed by the Engineer. Covers shall be bedded in grease and sand in the rebates and painted with two coats of black bituminous paint on completion. Internal rendering to manhole walls and benching shall be 12mm thick minimum, composed of one part of Portland cement to two parts of sand. The surface is to be trowelled hard and smooth, curved at all internal angles and rounded on all arises. The Contractor is to include all coves, rounded angles, making good to pipes etc. and all other labors. The rendering to benching is to be applied whilst the concrete is green. A turbine  allowing supply air. 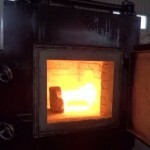  Combustion temperature: 1800 ° C.
incorporate a high capacity thermal oxidizing secondary chamber. procedure for installing and operating incinerators. specifications with a capacity to burn 100kgs/Hr. Power Supply, Climate, Temperature, Humidity, etc. ▪ The Bidder must provide a warranty for one year. installation and putting into use of the equipment. required for the issuance of provisional acceptance. take place at the final destination. duty brickwork or high strength castable. temperature is not less than 850°C. Note: The secondary combustion chamber must ensure that the gas temperature as measured against the inside wall in the secondary chamber & not in the flame zone, is not less than 1100°C. 100kg/hour at a nominal calorific value of 4,000 kcal/kg and an average bulk density of I20kg/ M3 for general waste and l60kg/ M3 for health care waste. minimum height of 10 meters above ground level. branches to facilitate the exercise. Fully packaged oil type, complete with electric ignition and flame failure controls wired with continuous running fan and complete with all valves, fan and motor. entrained in the flue gas stream. to enable free-flow of diesel from the tank to the incinerator. ▪ Connect burners to fuel supply. ▪ Three phase 415 V a.c., 50/60 Hz. consumables and qualified and skilled technical staff. operators after installation & commissioning of the equipment. accommodation for the attending technicians.